The climate of the Himalaya is highly variable. 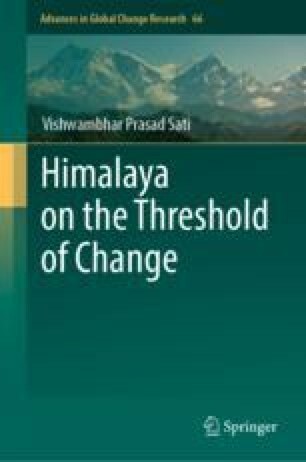 Variability and seasonality of climate in the Himalaya is due to its verticality, angularity and mountainous landscapes. Climate data—temperature, rainfall and humidity—of 15 years (2000–2015) was analyzed and climate variability and changed was noticed. It has been observed from the data that rainfall is increasing in the Uttarakhand Himalaya and it is higher in the plain region than to the mountain mainland. Meanwhile, temperature is almost stagnant in the highlands, although temperature variability is high. On the other hand, the Doon valley is receiving high climate change. In this chapter, all the three climate components—temperature, rainfall and humidity are analyzed at monthly and annual levels.